SkyDrive is Microsoft's cloud solution that offers users 7GB of free storage and the opportunity to sync and share via desktop and device. 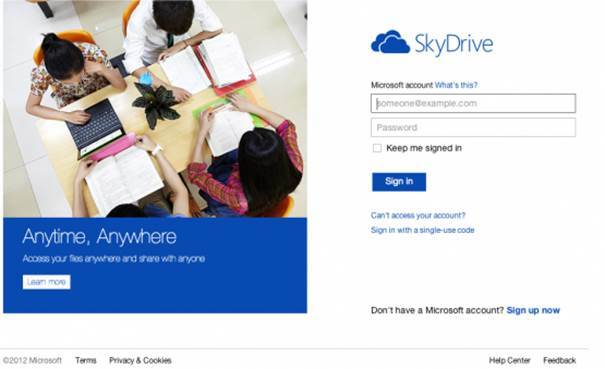 To use the service effectively users will need a Microsoft Live account and the appropriate version of SkyDrive. Mac and PC users can download a version for the desktop where a SkyDrive folder is automatically created. 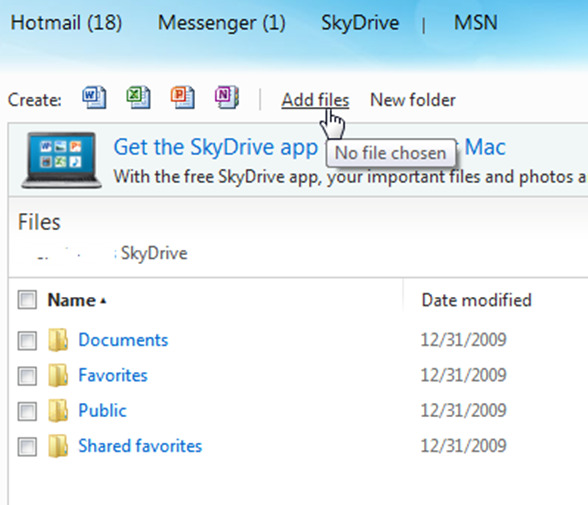 SkyDrive creates three default folders within the SkyDrive folder. Opening the folder reveals a standard window which allows users to drag and drop and populate with content. The desktop solution can sync and share with any smartphone or tablet running the SkyDrive app. Android users will need to download the free app from the Play store and sign in to start sharing. The default setup uses three folders, but the option to add additional folders is an easy task via the app or the desktop. Bluetooth or other installed cloud storage services such as Google Drive. Alternatively, a complete file can be exported via email or again via an installed service. 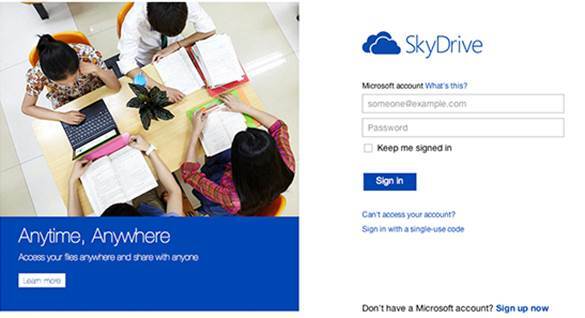 To use the SkyDrive service, a SkyDrive account is needed. This can be set up via https:// signup.live.com. Alternatively, to use SkyDrive effectively the appropriate software needs to be installed on a computer. When Installing the software there is the option to set up an account. After installing SkyDrive, users can add files via the desktop. A SkyDrive icon will appear in the notification bar/dock; from here, open the SkyDrive folder. This will contain three default folders: Documents, Pictures and Public. Drag files and folders into the chosen folder. 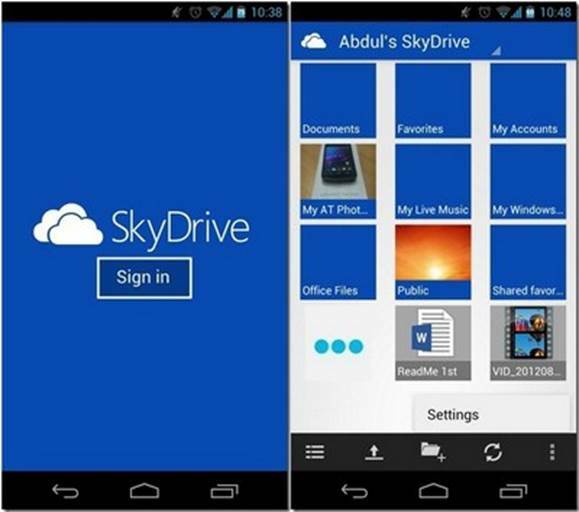 Head to the Google Play store and search for the SkyDrive application. Install the app and open it on your device. Now locate the app then tap to activate SkyDrive. Before the app can be used, users will need to sign in. After logging in you are presented with the default folders. To view the contents, simply tap the folder. To change from the grid view to the list view, hit the list icon (bottom-left). Next to each folder is a checkbox. Tap to select a folder and activate the delete and share buttons. Tap the trash icon and confirm to delete a folder. To start, select the desired folder. Note, only one folder can be selected at a time. Next, tap the share icon. By default, the View only option is selected. 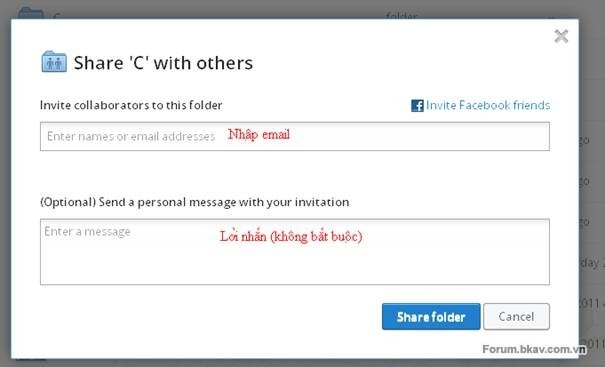 To allow for editing, select View and edit and tap OK. Now choose the option to share the link to, for example, Gmail. To share a file, open a folder such as Documents and switch to the list view. Next to each file in the list is a checkbox. Now select a file (only one can be selected at a time) and tap the share icon. Choose an option and select a service eg Google Drive. 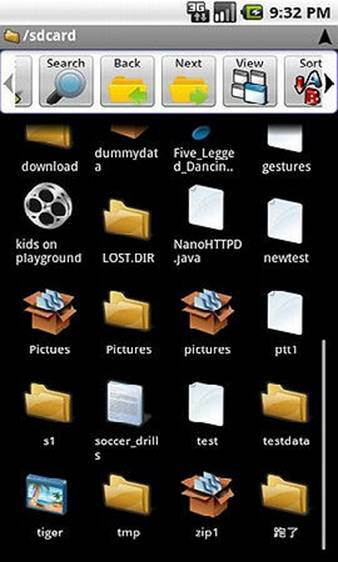 Name the file and select a folder. To add a new folder alongside the default folders, tap the folder icon. Name the new folder and press the OK option that is visible. To add a folder within a folder, simply repeat the process. Note, users cannot directly move a file from one folder to another. To download a file from SkyDrive to the device, first select the desired file by tapping the associated checkbox. Now tap the Download icon and the selected file will be downloaded to the device. This will typically be to an SD card and opened ready to view or edit. SkyDrive files can be exported to another location using the Export option. Again, select the desired file by tapping the checkbox. Now tap the Export icon; the file will be downloaded before a list of options appear. Select one. Tap the Use by default button to always use the selected option. Storing music on a smartphone can mean hundreds or even thousands of songs to choose from. This offers plenty of choice, but also means more searching. Everyone has their own favourite set of songs, and even sets of songs for different occasions and moods. This is where playlists make the grade. They allow users to choose a selection of songs and place them in an appropriately named playlist. So, if it's time to chill out and relax, users simply pick a playlist to suit. The beauty of a playlist is that users can easily edit to suit changing moods and taste. It's a straightforward process and one we've delved deeper into with our annotated image and quick step-by-step below.